A couple of years ago I was called in to deliver a unit called Sustainable Development: Concepts and Applications for the Master of Sustainability at the University of Adelaide. Being late notice (the semester had already commenced) I took some necessary liberties with preparing content that suited me. I asked myself: “If this is the core unit of a sustainability Masters, what do I believe these students absolutely must think about?”. Population. Trade Reform. Land Reform. Urbanisation. Biodiversity Preservation. Energy. Water. My conviction was that speaking to all these issues intelligently and with evidence, in the context of a ‘10 billion humans’ world, was a prerequisite to presuming to work in sustainability in the 21st Century. I loved it. Near as I could tell, the students did too. Some of the tutorial presentations were simply outstanding and the international nature of the student body was an asset to everyone’s learning. Though I could not have named it at the time, I delivered a semester of Ecomodernism, as captured in a staggering manifesto published last week. The manifesto is a tour-de-force of thought leadership at a crucial juncture for humanity. For this sustainability professional it presents a meaningful framework within which to act and I gladly endorse it. I have been on a long journey in sustainability, one that began in 2002 with David Suzuki and Holly Dressel’s Good News for a Change. This book at once broke my heart and ignited my spirit, and it was quickly followed by the work of Hawken, Lovins and Lovins (Natural Capitalism), Romm (Cool Companies), Dunphy et al (The Corporate Challenge of the 21st Century) and more, as I consumed everything I could get my hands on that would help me understand this topic. I managed to convince Monash University to accept me for Masters in Corporate Environmental and Sustainability Management. I proved them right, delivering High Distinction average across the eleven units. It was intellectual bliss for sustainability’s biggest fanboy; books, readings and case studies galore. To make matters better, sustainability was exploding in prevalence and popularity. Books were being published, products were hitting supermarket shelves, and BP were rebranding from British Petroleum to Beyond Petroleum (with a logo that looked suspiciously like a sun). It seemed like anything might be possible. In the following years, corporate and governmental sustainability reporting went through the roof, new roles were formed in government and private sectors, and it began to seem that sustainability was in your face everywhere you turned. We were going to make the world leaner, cleaner and better. Hey, why pretend… I thought we were going to save it, literally. You know how that story ends. We didn’t save it. Check most environmental metrics over the last decade and you will see that is true. Did sustainability, the corporate cousin of environmentalism, fail to deliver? Frankly, the journey of sustainability to me is a bit like so many rock bands. They explode onto the scene with an amazing, but raw debut. Their accomplished follow-up precedes a safer third outing. By album number four they are at the Grammy’s, cosy with the execs, panned by the critics, loved by the masses and seriously lacking in relevance. They have become that worst of all things: safe. From a revolutionary and exciting new paradigm, sustainability has become business as usual. A victim of its own success, it has fulfilled its rhetoric of the 90’s and 00’s that it is “good business”. That’s what I was reading in Suzuki, Hawken, Lovins(s), Romm, Dunphy and then Gilding: sustainability is good business. It sure is, and good business grows. When business grows “sustainably”, it leaves less mark per unit product, and shifts more products. The bottom line is growth and the impacts, good and bad that come with it. There is not one corporation that would dare call themselves “sustainable”, yet there are many that are more sustainable per unit output than they used to be. By and large, this movement delivered on the promise of better governance, better operations, better outcomes, and greater profits. But something was going wrong. It reached the point where the leading companies in a sustainability index were nearly indistinguishable from the S&P 500. They had become, by and large, one and the same. 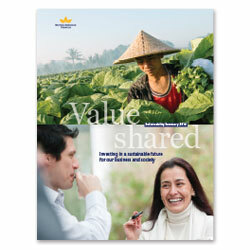 In perhaps the ultimate act of cynicism, British American Tobacco were publishing reports on their corporate social responsibility. The same case studies of materials and energy efficiency from DuPont and Interface Carpets were being trotted out again, and again, and again. BP’s renewables division remained a bit player next to their extraordinary efforts to exploit fossil fuels. They finally dropped the pretence, owning up to their ongoing efforts for exploitation of fossil fuels. Greenhouse emissions did not just grow, the growth accelerated. The overall rate of species loss on land, in air and ocean remained horrendous. Yet “sustainability” had seemingly never been bigger. Is this what we meant? Is this what sustainability practitioners intended? The wish for sustainability to become business as usual seemed to have come true, but not in the way we wanted. For me, a dissonance developed between what sustainability was meant to be about, and what was unfolding in reality. This was amplified as I left the intellectual playground of University and started trying to get things done in climate and energy. As I have previously outlined, the gap I discovered between the climate problem I understood and the solutions I had been sold was insurmountable. This was a slow road to professional disillusionment, bordering on depression. Within the discipline the conflict played out as a contest between Reformism versus Transformation. The advocates of Transformative Sustainability cast Reformism as the light-green option of coaxing better outcomes from a broken system, and by association accepting a lousy final outcome. Transformation was cast as the antidote; a radical reinvention of the system itself. By reducing the challenge to this dichotomy we were getting it all wrong. Sustainability proved itself a construct of the privileged rich by presuming that we were failing by not achieving “transformative change”. A more rigorous discipline would have seen that transformative change was already happening on the grandest scale imaginable for vast numbers of people around the world. It had names like economic development, poverty reduction, education, disease eradication, the Long Peace, the New Peace, the Rights Revolution, agricultural productivity, urbanisation, information technology and medical science. This was, in sum, the momentum of human civilisation. These transformations had already happened to the forebears of the wealthy. Only today, the transformations were happening in as little as one generation instead of perhaps two or three or four. With the rich massively outnumbered by the poor, this should have been universally embraced. It wasn’t. We instead sought transformation of the transformation, when most of the world were just getting started on the first bit! We might call it Transformation Squared. Who did we think we were kidding? Our job was never to create transformative change. It was to steer the extraordinary transformative change that was under way. We screwed up our job because we never really understood it. Parts of the civilisation would benefit from reform. Parts of it required transformation. But civilisation itself was a juggernaut, never within our control. Sustainability was part of the system and that was okay. Atmospheric CO2 was always going to rise, species diversity was always going to suffer, and some people were always going to lose as most people won. Had sustainability had done its job better, we could have had lower greenhouse gas, greater species diversity and greater global justice than we do now, with a brighter outlook to the future. Fortunately there is still time. But we don’t need to transform the world. We need to transform our discipline. Sustainability can still be so much more than the safe, corporately co-opted discipline it is now, but only with a dramatic reinvention. This reinvention will demand that we accept the wisdom of needing to give considerable ground in the near term in the name of more profoundly influencing the final outcome. The momentum of the juggernaut is immense. Anything that stands in the way will be either co-opted, coddled or crushed. What if, instead of presuming to standing in the way of progress by demanding transformation squared, we surrounded this juggernaut in the firm but forgiving embrace of a much stronger discipline? What if instead of the arrogance of presuming to halt progress or send it on a sharp detour, we had the wisdom to realise we could redirect it a very long way over time, a little at a time? This can be done, but it needs a new breed of sustainability professional for a new paradigm. We need sustainability as a developmental “theory of everything”. That is why I was so completely blown away by the quality of the Ecomodernist Manifesto. It has, in a manner I can scarcely fault, encapsulated the wholeness of our humanity and our relationship with natural systems in a framework that could actually deliver on the promise of a “Good Anthropocene”. Some potentially desirable outcomes for our world simply will not be achieved. But some pretty astounding ones could be, provided we have the fortitude to distinguish between the former and the latter and focus on the latter. To do this, sustainability professionals in the 21st Century need to be better informed and better rounded than ever before. They need to re-value and incorporate, or in many cases learn for the first time, knowledge from disciplines sustainability only dabbled in (and then, often only to criticise). Things like economics, property rights, finance and credit, energy, agronomic science… the key mechanisms that make a modern society function. It should be clear that we will be ineffectual in nudging the juggernaut if we refuse to acknowledge and understand how it even works. If we don’t understand from how and where civilisation sprang, we have no right to tell it where to go next. Here, Ecomodernism towers head and shoulders above environmentalism and sustainability. It understands our complexity and refuses to shirk it. It understands our history and refuses to deny it. It sees a vastly better future and challenges us to achieve it by putting our hands on the wheel, instead of shouting from the back seat. Sustainability practitioners need to love humanity again, and I use the word “love” advisedly. Lots of environmentalists/sustainability professionals fall out of love with humanity. When as a sustainability practitioner you have fallen in love with humanity again as a species, as well as all the other ones you care about, it provides a powerful change in perspective. Suddenly every human soul is an exciting possibility, not a frightening threat. Our science, culture, and the other advents of our civilisation provide genuine consolation for some of the losses we incur along the journey because they are, truly, wondrous. We must open our eyes to the possibilities of restoration and return. The future of our planet’s biodiversity cannot be the same as its past. Yet it can be radically different from our current state if we want it to be. It can be denser, richer and more supportive. Ecomodernists acknowledge this. They embrace the responsibility and the potential for wonderful outcomes. We must welcome and embrace science and its child, technology, without bias. It is out major tool. With our wits, wiles and intellects we can find the pressure points on the juggernaut. But it is unquestionably technology that will let us activate them most powerfully to redirect the momentum of civilisation and bring us to a safer, softer landing as we reach the peak of our population and plan for what is to follow. The Manifesto treats this as a basic starting point, and it is the more powerful for it. The Ecomodernist Manifesto is excellent. I congratulate the authors and commend it to my readers. Criticism of the Manifesto has also emerged and I will take this opportunity to address some of it. I contend that Romm has, in a most elegant way, illustrated some of the important values of the Manifesto and the weaknesses of the environmentalist perspective. I flatter myself that I am as climate-concerned as the next person and a great deal more so than most. If pressed, I support targets in the 1.5⁰ /350 ppm range, while acknowledging that I still cannot say with certainty that that will be the right thing. If there are three individuals who have been influential in my relatively deep-cuts position on greenhouse gas emissions, they are Barry Brook (my friend and thesis supervisor), Mark Lynas (journalist, author, environmentalist and professional acquaintance) and James Hansen (if you don’t know him, look him up). Two of these three people are part of the authoring team of the manifesto. It is intellectually shallow of Romm to write-off the balance of the manifesto because he does not see numbers he wants to see. It is positively reprehensible for him to frame this in a way that actively discourages others from reading this work. He seems to contend that we must occupy this juncture in human history, with all its complexity, and insist on a framework centred on numbers for temperature and concentrations of atmospheric carbon dioxide. That is a beautiful illustration of the rich-world arrogance that has come to characterise so much environmentalism. The Manifesto says “any conflict between climate mitigation and the continuing development process through which billions of people around the world are achieving modern living standards will continue to be resolved resoundingly in favor of the latter”. I have previously made the same point, albeit with less elegance, stating that in the fight between dirty energy and no energy, dirty energy wins every time. This was driven home to me at a global Women in Nuclear conference. A member of the South African delegation queried my approach saying “You compare nuclear with coal. But we have to go and speak with people who have no electricity at all. Should we be telling them coal is bad?”. As much as climate change concerns me, and it concerns me deeply, it is not the only thing wrong with this world. For too many people it is justifiably not the most urgent thing wrong, either. Much of what is wrong has energy as a key part of the resolution, so we need to gear up to provide massive amounts of clean energy. We have to accept that if we fail, dirty energy beats no energy, hands-down. Had the Manifesto specified on these climate metrics it would, in my opinion, be de-valued. These are not the only metrics that matter. What should infant mortality be in 2100? How many people can go without electricity in 2100? What should our forest cover be in 2100? How many species can we lose by 2100? The Manifesto offers no targets for these metrics and nor should it. What is abundantly clear in the manifesto is that plentiful zero-carbon energy is a core requirement. Simple, true and empowering. Beyond this, I find the critique by Romm vacuous in the extreme. I still love the book Cool Companies, and I wish Romm had stuck with what he is good at. “The omission of wind energy from this first attempt to create a modern environmental movement is thus an unfortunate and un-pragmatic decision. It makes it difficult for us to embrace what is otherwise a compelling document. We imagine we are not alone. Anyone attempting to build an inclusive new brand of environmentalism would do well to embrace a wider, and more well-reasoned, set of modern energy technologies. 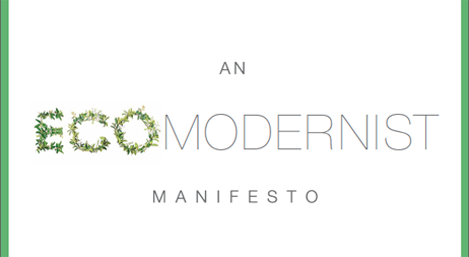 Until they do, we cannot endorse the Ecomodernist Manifesto”. I’ll begin with the end by saying that I agree with the substance of the criticism, but not the assigned significance. As a South Australian interested in decarbonisation, I have come to know a little about wind energy. We have among the highest per-capita penetrations of wind in the world. Next month will see the publication of my paper (co-authored with Barry Brook and Corey Bradshaw) Beyond Wind: Furthering Clean Energy in South Australia. The research for this paper has demanded an in-depth look at the influx of wind power in my state since 2003. In summary, wind power has driven a notable reduction in carbon emissions at no meaningful penalty to reliability. The price has been good compared to other new energy investments (not compared to incumbent, depreciated, unabated fossil fuels). The environmental impact has been negligible. These points are broadly in agreement with the case put forward by Jenkins and Wilson. As the title of the paper suggests, we need to understand how to go beyond wind in the decarbonisation challenge since (again in agreement with Jenkins and Wilson), there will be a serious economic upper-limit to the penetration that can be achieved. I agree. These are the ideal characteristics of energy supply for the best possible Anthropocene. I also suggest that a day will come where no one will want to build more wind turbines. For example, if a cheap, fuel-recycling fast-reactor reaches market (and I think that’s closer than do some of my contemporaries) well, that’s the death knell for wind. Frankly wind provides no comparative advantages and serious comparative disadvantages. Yet, the same technology would also be the death knell for light-water nuclear reactors… is that what we want? As a priority, no. We want them all to replace fossil fuels as a priority, not each other. Well-designed policy, not opinions on technology, should enable economic resolution of the pathway to achieving a complete clean-energy transition. The folly of replacing one zero-carbon energy source with another has been illustrated by the Energiewende. For the transition to take place we have many important decades where we need all clean energy hands on deck and it’s very hard to argue against wind in that setting. So, on a century timescale I’m pretty sure I agree with the Manifesto. However the non-treatment of wind seems a weakness worth addressing. “One study in PNAS concluded that “a network of land-based 2.5-megawatt (MW) turbines restricted to non-forested, ice-free, non-urban areas operating at as little as 20% of their rated capacity could supply >40 times current worldwide consumption of electricity, >5 times total global use of energy in all forms.” That estimate excludes offshore wind potential entirely. I’m not used to these authors (excellent analysts, both) batting around such figures in an uncritical way in the name of making a point; it’s out of character. I suspect they have given the authors of the Manifesto far too-little credit as to how they arrived at their position. The “pragmatic” issue, raised by Jenkins and Wilson, that nuclear development has “cooled” in several nations also seems uncharacteristically selective. In the regions of greatest forecast energy growth it is very well-positioned. Australia is moving strongly against the suggested cooling trend, though this was not mentioned. I think Jenkins and Wilson are correct in their criticism. I also think they may be seriously underestimating the reasoning of their contemporaries. Whatever the case, this will be interesting to watch. Bringing the debate to this position is a wonderful step forward. Next Entry New video: What might the Royal Commission mean for nuclear in South Australia? I really was suffering from an identity crisis until I read your blog and started to read the manifesto. Our concerns for the good of mankind have been hilacked by special interest groups and anti everything activists. I struggled to believe both ends of the environmentalist paradox, ie mankind will destroy the planet through overpopulation and resource depletion, therefore mankind is doomed. We are approaching 10 billion souls because our intellect makes us such clever at survivors. This new way of thinking, which if I have this right espouses nudging the mothership away from the dangerous shoals rather than dropping anchor before we get there, is very appealling. James, I’m delighted to hear that the post and the Manifesto held that much meaning for you. Identity crisis is an apt term and I know what you mean. Yes, it’s appealing and very powerful. It takes an intellectual leap. If you have not already I recommend you read “The God Species” by Mark Lynas and “Whole Earth Discipline” by Stewart Brand. You will get a lot out of them. Greetings from Beulah Park, SA. I have submitted the manifesto to the http://nuclearrc.sa.gov.au/ Royal Commission. Would love to meet up at any of the commissioner public talks in the Adelaide eastern suburbs. Let me know here which one you are going to. In summary, the Manifesto is a cry for pragmatism over dogmatism, although somewhat more elegantly put. And talking of Mark Lynas see his latest article in the Guardian. Great article. Well written. I couldn’t agree more with your position on wind. Hope you are right about those cheep fast-reactors. I am not a fan of big wind – to many moving parts. Also, fossil does not have to burn (pollution) to extract energy (electricity). The two types of energy that fit my bill are nuclear MSR technology (also fusion) and Direct Carbon Fuel Cells (DCFC). Low impact energy should be dense and always on. That energy generation should also be out of sight. Solid Carbon Fuel Cells? You must be joking! Hot, dangerous and still polluting, they have been around as laboratory curiosities for a century, but still release CO2, just like any other form of oxidised carbon (coal, char, etc). What does a difference between 80% and 40% energy conversion efficiency matter environmentally, when the result is still carbon dioxide? I certainly do not expect to ever see SCFC driven car or train or ship. If used as a domestic static DC electricity source, where does the resulting CO2 go? The energy costs of collecting, transporting and storing the CO2 will be prohibitive. Or do you propose to just let it go to atmosphere, which will have pretty much the same result as CCGT? Besides which, where will the factories be constructed to produce the remarkably pure carbon for the fuel cells? The fuel cell uses air+carbon => CO2, but what about the sulphur and nitrogen oxides? If sulphur and other elements other than carbon are removed before oxidation in the fuel cell, where will the factory for this be? What happens to the waste? Sorry, Martin, but I cannot take your suggestion seriously. Shame methanol is toxic but the problems seem vastly smaller than for solid carbon, natgas or compressed hydrogen. The FCs can be coupled to batteries. They seem OK on infrastructure cost (use old petrol bowsers), fuel cost assuming cheap non-fossil hydrogen input, well-to-wheels efficiency and sustainability of the carbon source. The article mentions platinum recycling but not engine costs which could be a killer. In the spirit of ecomodernism. Ecomodernism, indeed. Perhaps there is a place for SCFC, but I don’t see one yet. As an engineer, I am attracted to the idea of using pragmatic approaches, even if today’s optimum is considered by some to be less than ideal. Renewable methanol, using some existing infrastructure, is an example. At least the fuel is clean from Day One without needing collection, pressurisation , transport and the rest of the CCS story in order to achieve its goal. That said, CCS on larger stationary plant offers distinct possibilities for methanol, but is possible icing on the cake – less than zero emissions. The budget for this project ended with the current US Administration. Déjà vu of what happened to the MSRE project at ORNL back in the early 70’s. Fossil has given us all that we have in this (eco) modern world that most of us live in and the rest of us want to. I am not going to just abandon fossil fuels because others tell us that is what must be done. There are solutions and with a little bit of ingenuity, someone will make that breakthrough. Elesvier, at http://www.sciencedirect.com/science/article/pii/S0360128512000044, indicate quite unambiguously that the solid carbon electrode technology is nowhere near commercialisation. I think that DCFC is thus ruled out of consideration by pragmatics. It is still at the “optimistic dreamers” stage. Very nice Ben, an excellent addendum to the manifesto. Let me get some housekeeping out of the way first. I’ve already managed ‘Ecomoderist’ so this is not a criticism of typos, but a point of interest into how many happy(?) mis-literations the label will engender – diverse, like I imagine its’ adherents will turn out to be. I felt like yelling Globalisation! Where did that go by the way? I was always a fan and realise not everyone will agree with me, but I saw it first hand in service to those vast numbers of people, and that is what counted & is still ongoing. [a side note on those vast numbers of people, I hope someone is working on every non-english translation possible of the manifesto] Brutal & unforgiving for sure. But our friend the atom, like the G-word, neoliberal economics & capitalism in general may NOT be the greatest thing ever, though they are the best option we have right now. Making use of it to obtain the ends we desire should be the first order of business. Also, an excellent & concise criticism of the Ecomodernist sect can be found here re:wind http://etwasluft.blogspot.com.au/2015/04/eco-modernisms-omission.html (h/t to my fellow Promethean John Morgan @ https://twitter.com/JohnDPMorgan/status/590876480978063360) Really a Must Read. If we can get people like the author of that blog to rally to the Ecomodernist flag, we will be making important progress – to do so we could probably all do with keeping in mind the need to tone down the anti-renewables rhetoric at the appropriate times; and importantly I don’t mean when we think we’re being anti, but when the audience is likely to perceive the message as rampantly anti-renewables rather than just constructive criticism. Of course when dealing with a 100%-er feel free to administer the required smack-down… it’s for their own good. Urgh!!! What horrible typos! That’s like being told you have bad breath… it hurts to hear but at least you can fix it!!! I like the quotes you have chosen to pull out there, so thanks. It give me a strong sense that the blog hit the mark. Yes, this was and is globalisation, and we should have been stewarding it, not fighting it. I disagree that neo-liberal economics is the key but good economic policy paired with good governance, yes certainly. On the metrics that matter to me, the neo-liberal poster children of USA and, much less so, UK are increasingly evidence of failure to responsibly steward economic growth. A great proliferation of negative externalities and burgeoning inequality hidden by a strong top line. One reason I liked the Manifesto so much is that it was clear that this is not an argument for “hands off” growth and development, quite the contrary. Overall I appreciate where you are coming from however in person we would have nice juicy argument about the details. I think part of the problem with the neoliberal tag is it means different things to different people. To me, Neoliberal = Globalisation. Those same capital flows that fuelled (together with other things) the rise of the vast numbers mentioned drove bad consequences back where those funds originated from. As a certain rather grand character once said ‘swings & roundabouts’. I’m ok with both Hayek & Keynes, it’s a matter of knowing when to use which one …like you said good economic policy paired with good governance. I’m probably more comfortable with a laissez-faire approach than you are, but then again it only works on some things. So a slightly ridiculous example would be a laissez-faire approach to the technical design of an electricity/energy infrastructure, since that would be an invitation to a world of pain …no-one could be stupid enough to try that could they? I look forward to that juicy argument one day. I felt like yelling Globalisation! Where did that go by the way? I was always a fan and realise not everyone will agree with me, but I saw it first hand in service to those vast numbers of people, and that is what counted & is still ongoing. [a side note on those vast numbers of people, I hope someone is working on every non-english translation possible of the manifesto] Brutal & unforgiving for sure… but the number one concern for voters on the street at the recent Nigerian election when questioned by BBC radio? Electricity, reliable electricity …from the people with Boko Haram on their doorstep(a link is out there somewhere on the interwebs). But our friend the atom, like the G-word, neoliberal economics & capitalism in general may NOT be the greatest thing ever, though they are the best option we have right now. Making use of it to obtain the ends we desire should be the first order of business. Ack… sorry about the double post – weird things happening at my end. I couldn’t resist adding a bit about the Nigerian election, apart from that it is exactly the same. I found much to agree with in reading the Manifesto and it was inspiring to read a positive plan, so I was disappointed to see it strongly attacked by many people concerned with climate change. In trying to see the document from their perspective there are a couple of areas where I felt they had some justification for their criticisms, although as often happens, once someone takes a negative attitude you end up losing them. The Manifesto overplays the need for energy dense sources and this gives it a slight anti-renewables bias. It should be said that while energy density is an advantage and sometimes vital, for stationary sources it can often be of little importance. Suggesting energy density is an overall prerequisite comes across as criticism of both solar and wind. The second issue is one of priorities. The Manifesto is very sympathetic on the need to lift people out of poverty. Building coal or gas powered electricity sources in developing countries is an effective way of doing this and the Manifesto does not oppose it (from my interpretation). Indeed, SH. Your comment “Building coal or gas powered electricity sources in developing countries is an effective way of doing this and the Manifesto does not oppose it (from my interpretation).” opens an interesting and relevant avenue for enquiry. The global tobacco industry may be stagnant or worse in many developed societies while forging ahead in underdeveloped ones. There is need for discussion as to how gains made by the pragmatic approach to low carbon emissions in advanced western societies can avoid being undone by greater emissions in less technologically advanced societies, which may be locked out of certain energy options, eg nuclear, wind and solar by price and cultural considerations yet be amenable to use of fossil fuelled electricity and transport options as pathways to prosperity. A further analogy exists regarding the cost of labor. Advanced societies may have minimum hourly rates which are several times the paid rates in underdeveloped countries. Those countries are seen by some to be unfairly undercutting the markets of others by using unpleasant labor policies. I’m sure that there are quite good pragmatic arguments for and against paying wages which are below the poverty level and that there are parallels between philosophical arguments in favour of low labor rates and philosophical arguments against action to limit carbon emissions, whether through market mechanisms or by regulation or by international treaty. I suggest that, absent clarifying qualifications, the term than “pragmatic” is too broad. Its a nice read. I am an engineer and environmental scientist – have been for decades and have had a career in ‘decoupling’ development from downstream environments. This is an idea that need to be at the core of Australian politics – driving both domestic well being and foreign aid. It will be adopted when people demand it. ‘Decarbonisation’ requires much more than changing our power systems. Some 356 gigatons of carbon has been emitted by people in the last century and a bit. Some half of that remains in the atmosphere? So we can remove 50% of the remainder simply by better practices that make money, conserve water and soils and produce less impact on downstream environments? We may also address nitrous oxide and methane – most of which comes from agriculture – as well as the emissions from land degradation. Some 39% of total greenhouse gas emissions. Synergistic effects of improved agriculturqal productivity are improved education and health outcomes through richer and more resilient economies – and a reduction on black carbon from the open fires that billions of people still cook on. Long live ‘direct action’. The current generation of advanced nuclear is just such an innovative evolution. My initial response to the Ecomodernist Manifesto – http://watertechbyrie.com/2015/06/06/economic-growth-and-environmental-management-in-a-global-iriai/ – invokes the ideas of Elinor Ostrom as a way to manage global commons.